Jio DTH and Jio GigaFiber services, which promise high speed internet and attractive features like a connected Smart TV, are most likely not going to launch in March as it was being speculated initially. After the new TRAI rules for DTH service providers came in, consumers were eagerly waiting for the services as the TRAI rules most likely do not apply to Internet Protocol television (IPTV) that Jio DTH and Jio GigaFiber promise. Jio GigaFiber installations are moving at an extremely slow pace, and this is a challenge that Fiber-to-the-home service providers often face. Anxious consumers are increasingly taking to social media platforms to ask as to when the services will be available for them “When you will provide Jio GigaFiber Connection to my home? I had registered 4 months ago. But not getting any update from your team. Have you started providing service in Chennai? I’m staying in OMR. Let me know if you have any confusion,” asks a consumer waiting for Jio GigaFiber on Twitter. “Hi i have Jio GigaFiber. When will we get Jio GigaTv and Jio smart home capabilities?” asks another. 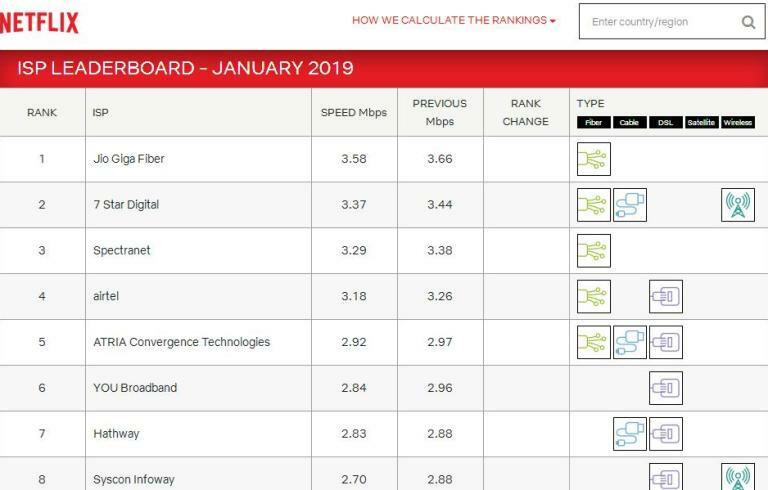 Also, another thing to be noted is Jio GiagFiber, which has consistently been topping the Netflix Internet Service Provider (ISP) Speed Index since September last year, has topped the list yet again. The average playback bitrate of Jio GigaFiber, however, has seen a slight drop. Jio GigaFiber, which had topped the list at with an average playback rate of 3.66Mbps last month, has a playback rate of 3.58Mbps this month. Prior to this, Jio GigaFiber had scored an average playback rate of 3.48Mpbps in October and 3.41Mbps in September on Netflix ISP. “The Netflix ISP Speed Index lists the average prime time bitrate for Netflix content streamed to Netflix members during a particular month. For Prime Time, we calculate the average bitrate of Netflix content in megabits per second (Mbps) streamed by Netflix members per ISP. We measure the speed via all available end user devices. For a small number of devices, we cannot calculate the exact bitrates and streaming via cellular networks is exempted from our measurements. The speed indicated in the Netflix ISP Speed Index is not a measure of the maximum throughput or the maximum capacity of an ISP,” says the Netflix ISP website. However, Netflix ISP Speed Index is a measure of prime time Netflix performance on particular ISPs around the globe, and not an actual measure of overall performance for other services/data that may travel across the specific ISP network. 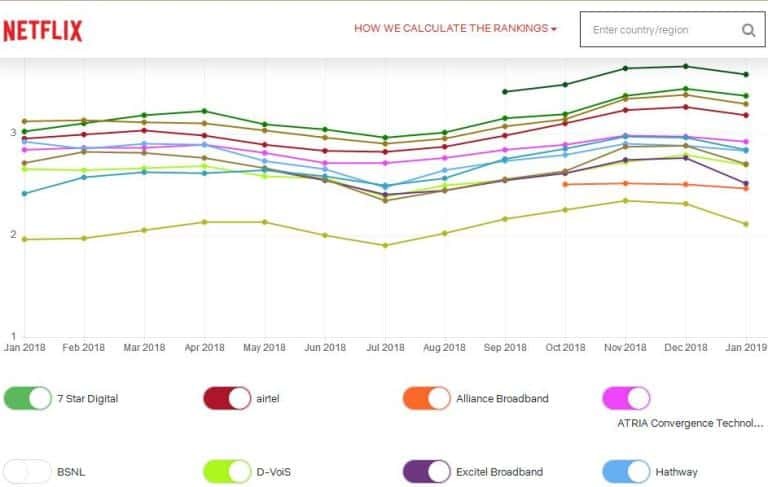 Apart from Jio GigaFiber, 7 Star Digital, Spectranet, Airtel and other ISPs too have shown a slight drop in the average playback rate on the Netflix ISP Speed Index. Jio DTH and Jio GigaFiber are being highly awaited for the promise of HD quality entertainment at highly competitive prices. This is a fact that has been accepted by Reliance Jio. “JioGigaFiber will empower you with ultra high speed Internet upto 100 Mbps along with a host of online content at the most competitive prices. Once our services launch commercially, we will reach you with details of all our plans and offerings through appropriate channels,” says Jio Care official handle on Twitter. The base pack, as per some reports, is expected to start at as low as Rs 300 to 500. Jio Giga TV set-top box or the Jio DTH will come along with the optic fiber, which can also be connected to Reliance Jio enabled smartphones. 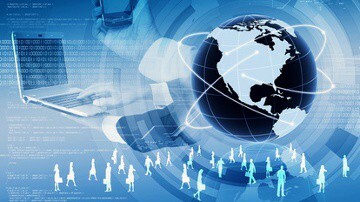 Furthermore, Ultra HD entertainment, multi-party video conferencing, virtual reality gaming, shopping and other smart home solutions will also be offered to consumers. Jio DTH, Jio GigaFiber Launch Possibly Delayed, Speed Drops on Netflix ISP 0 out of 5 based on 0 ratings. 0 user reviews.